UNAVCO participated in the Great Southern California ShakeOut on November 13, 2008. We responded to the simulated magnitude 7.8 ShakeOut event as if it were a real earthquake, providing us with an opportunity to test our response procedures for a similar event in the western United States. To request equipment and/or data, and to see updates on data availability and community activities, please see our Community Geophysical Event Response Coordination page, which links directly to our online Discussion Forum. In future events, UNAVCO will use this format to provide updates and field requests. We invite our community to familiarize themselves with our new format by requesting data and equipment for ShakeOut. For ShakeOut, 5 Hz GPS data will be available from Plate Boundary Observatory (PBO) stations within 200 km of the rupture zone, and 1 Hz data will be available for stations farther away. Additionally, full-rate strain, seismic, pore pressure, and tilt data will be downloaded from all PBO borehole instruments. We anticipate having high-rate data from a subset of stations available within hours of the earthquake, with additional data added as they arrive. Simulated InSAR and Terrestrial and Airborne LiDAR responses were also carried out that would have produced data sets in a real event. UNAVCO has created a ShakeOut "teachable moment" PowerPoint slideshow for teachers, available here. For future events, we will provide new "teachable moments" and other educational materials. The USGS (United States Geological Survey) and SCEC (Southern California Earthquake Center) have created a set of images and movies detailing the shaking in Southern California, which can be found at: http://earthquake.usgs.gov/regional/nca/simulations/shakeout/. ShakeOut is based on a potential magnitude 7.8 earthquake occurring on the southern San Andreas Fault. The USGS has released the ShakeOut scenario, a report detailing the consequences of such an earthquake with respect to shaking, damage, injuries, and death. Millions of Southern Californians are participating by readying their homes for a large earthquake and preparing disaster response plans. For more information see http://www.shakeout.org/. 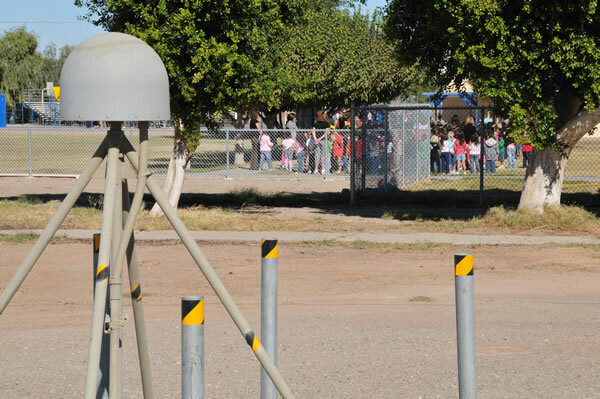 Figure 1 - Students at McCabe elementary school in El Centro, California participated in ShakeOut with an earthquake drill. In the foreground is a PBO GPS monument, site P496. Photo: Shawn Lawrence, PBO Southwest Field Engineer. Figure 2 - ShakeOut displacements at Southern California GPS stations. Rupture model from Jones et al., The ShakeOut Scenario: Effects of a Potential M7.8 Earthquake on the San Andreas Fault in Southern California, USGS Open File Report 2008-1150, 2008. Forward model using program dislomul by D.C. Agnew, using Y. Okada, Surface deformation due to shear and tensile faults in a half-space, Bull. Seis. Soc. Am., 75, 1134-1154, 1985. 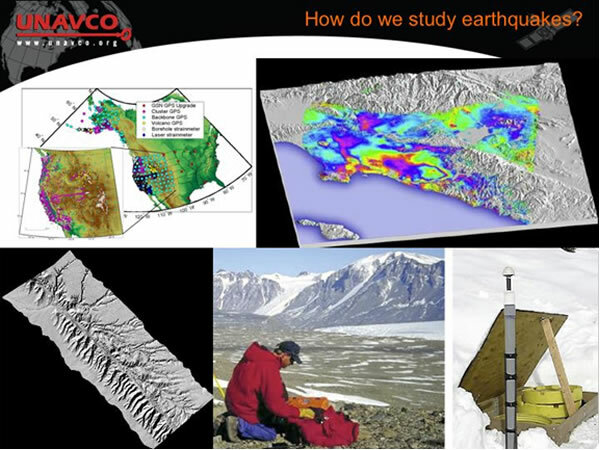 Figure 3 - One of the slides from UNAVCO's Teachable Moment: Learning About the Great Southern California ShakeOut. UNAVCO offers a set of PowerPoint slides for educators. See www.unavco.org/EO for more details.